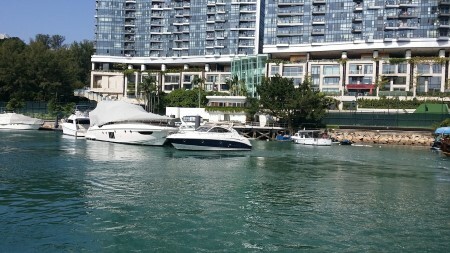 Hong Kong’s leading yacht sales and boat brokerage firm, Located in Aberdeen Marina Club Hong Kong. Question : What is your first concern when you want to meet a Broker or an Agent if you want to Buy something? or even Sell your assets? Answer : It is Honesty. Nothing can be worse than some profit mongering agent who will give you false information to make a quick buck off you. Or even worse take advantage of your urgency or critical moment when you need to offload your asset. If it is a boat, or a mooring, or a club membership. An honest agent who will give you the right information is of most importance. Even if the Agent cannot help you. But if he or she points you to the right direction, it can save you a lot of trouble. Second thing you need is an experienced company or a person. If they have been through lot of cycles and ups and downs and have stuck around in the boating industry for a while. Then they know how to help you. They know what you should expect. They might even advice you against buying a bigger boat and try something more affordable in the beginning. There are buyers who are impressed by big offices, flashy agents driving expensive cars, boasting they are buddies with big tycoons. If you think so, they might be of help. But over here in Asia Boating Ltd, We just try to be as real and as close to the ground as possible. We believe only thing that makes you survive in business for long is your honesty, experience. Third is your Intention : That is if you look at your customers as prey? where you can try to earn a big buck and say or do anything to get a deal done. Or do you look at your customers as an opportunity to provide a service to the best of your ability and sincerity. And that’s it. Simple. If we can provide a good service, good product and give people the best solutions with sincerity. That is success for us. Experience : We have over 20 years of experience in selling pleasure boats in Hong Kong, and finding all kind of solution for people in this industry. Every Single day, that has been our main business.